The new year is starting and after three weeks of vacation, it’s time to get back into the groove. This circuit gave me a serious sore at the top of my abs. I started with a 4-minute warm up, then set my timer for 50/10 intervals. 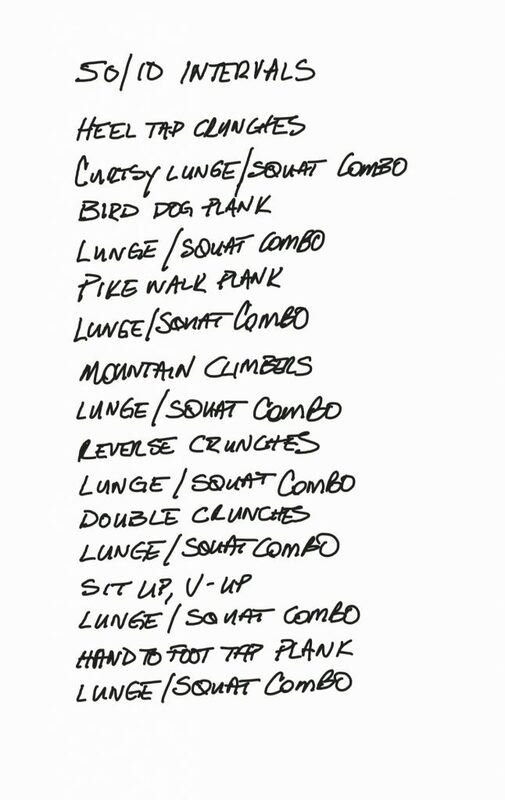 50 seconds of high-intensity work from the list below, then 10 seconds of rest in between each.